HAIR & MAKEUP | GET READY WITH ME for a LUNCH DATE ! 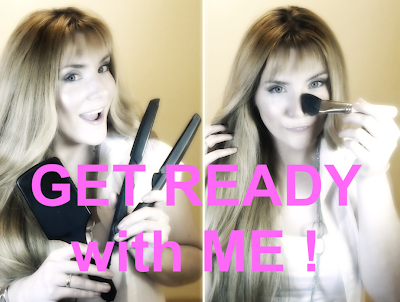 Today I bring you a new "Get Ready with Me" video. I know you all enjoyed my first one showing you my everyday hair and makeup routine. But it was quite some time ago ( and, if I may add, with a much poorer camera ). So, I thought it was about time I created a new and updated one. This time, you'll watch me get ready for a lunch date with my hubby! Every once in a while we like to go out on a date just like we did before we moved in together or got married. Although, to be honest, many times I feel we're still boyfriend and girlfriend. You might be thinking that it's easier for the two of us to forget we're married sometimes , because we don't have kids yet, but actually nowadays, more and more couples decide to take a little time off to date their significant other. Anyways, my point is that I really think it's KEY and SO MUCH FUN to devote some time to get all prettied up for a date, don't you? So if you're interested in witnessing my whole hair & makeup transformation / makeover and the outfit I chose, just click, scroll down below and watch ! INNER BEAUTY | HOW TO BE HAPPY : 10 QUICK TIPS FOR POSITIVITY I KEEP REMINDING MYSELF ! Did you know that the average person experiences 24 frustrations a day?! 24 times a DAY something doesn't go as we wanted, planned or expected !!! No wonder we often find our minds overwhelmed with negative thoughts from time to time. Just like you, I have plenty of bad days and struggle with becoming a more positive person every single one of them. In the end, I guess positive thinking is a choice for most of us. A daily choice to BEAT negative thoughts and emotions. And the best way to fight back is through positive thinking. 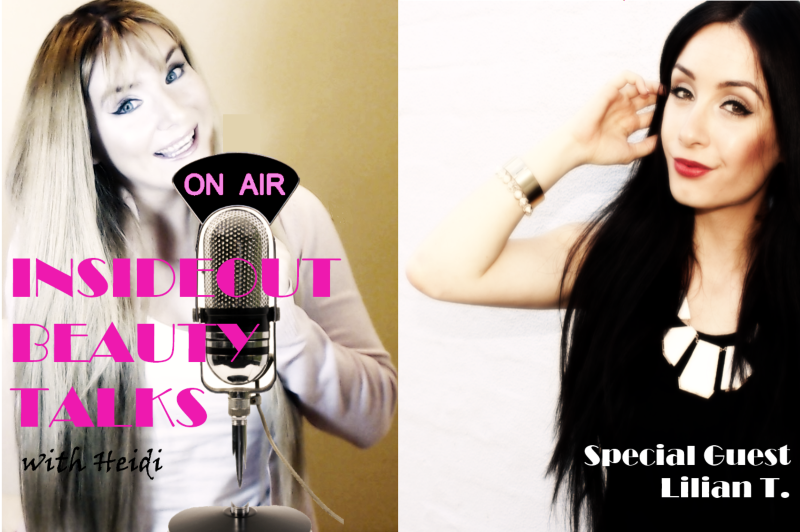 INSIDE-OUT BEAUTY TALKS | TODAY: Tips on Self Confidence with Guest Celebrity Youtuber Lilian T. ! Welcome to a NEW Inside-Out Beauty Talk! After my first radio segment featuring Emmy Nominee Michelle Branch, I was very concerned about who my next guest would be. I enjoyed talking to Michelle so much and it was such an honor to have her in my first attempt of a blog radio show! So, I'm pretty sure you can imagine why I was so worried. That was until Lilian Tahmasian, Youtube Celebrity, said YES to participating on my next InsideOut Beauty Talk. As you probably all know already, Lillian T. is an Australian Armenian Beauty Guru creator of Butterfliielilian, a Youtube Channel with OVER 35 K subscribers and 2.5 MILLION views... and counting! But what I love most about Lilian is that, in spite of all of her success in the Digital and Social Media world, she's still a very sweet and down to earth girl, we can all relate to. Self Confidence, was the topic that won on our little poll last time, so if YOU voted for it... here it is! After many e-mails back and forth, and in spite of the time zone differences Lilian and I managed to sit down for a quick Skype Call and discuss How we can all be more Confident! Something we all need at some point in our lives.... don't you agree? Interested? Take a quick listen!